Despite inquiries into the matter EA Sports has yet to address why the ‘Player Hub’ website (formerly known as EA Sports World) has been down for well over a week now. The issue has been raised in several places but a response has been avoided. Visiting the ‘Player Hub’ results in a “page not found” or “server error”. The site hosts features such as the ability to check game stats, view and retrieve uploaded screenshots and highlight clips, utilize ‘Photo Game Face’ – and more dependent on each particular game. Sadly this makes for even more NCAA Football 12 features that are currently broken or inaccessible (screenshots and highlights) while many other games that have already been released as well as potentially Madden 12 (stats, highlight videos) lose their feature tie-ins. 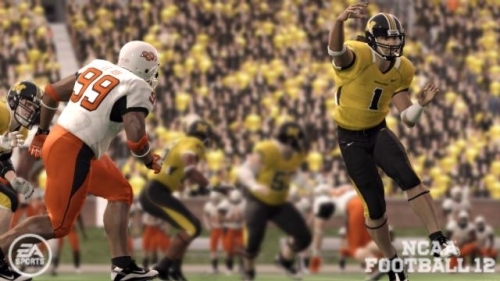 Unaffected by the ‘Player Hub’ being down are the Online Dynasty and Teambuilder portals for NCAA 12 as well as the FIFA franchise which has its own ‘hub’ of sorts in EA Football World.